In just a few years, social advertising has become a major acquisition lever. Simply because it is one of the most profitable pay channels in terms of lead generation and customer conversions. This is why the global budget dedicated to advertising on social networks should double in the next five years (CMO study). In this category, Facebook Ads hold the upper hand. 96% of marketers specializing in social networks see Facebook as the most ROIste platform (eMarketer study). And for good reason: the paid campaigns are particularly efficient and work both in B2B and B2C. Provided you know how to take advantage of good practices. Facebook ads, what is it? The expression "Facebook Ads" refers to the advertising network made available to advertisers by the social network Facebook. Exactly like what AdWords are for Google. Facebook ads are therefore advertisements posted on Facebook and on sites (and applications) partners. This allows advertisers to benefit from the power of the world's most popular social network, to which users connect en masse, at any time of the day (on awakening, in transport, at work, in front of the TV ... ) and from any type of support (computer, smartphone or tablet). To this must be added the assets of this advertising network: a system that promotes the relevance and quality of ads, and highly accurate targeting of people that advertisers want to touch. Arrived in 2007, the Facebook Ads have allowed the platform (whose registration and use are free) to become profitable. Why launch an advertising campaign on Facebook? Because it's the most effective way to reach a large audience on the world's leading social network. As you probably know, the organic reach of publications tends to shrink. The "Reach" took another hit with the update of the Facebook algorithm early 2018. At this rate, no one can say what will happen in a year, two years, five years. Nor if the organic reach will not completely disappear one day or the other. For this reason, many marketers prefer to turn to paid acquisition, ever more effective because of changes made by Facebook to its advertising mechanism. As long as you know how to use targeting, creating custom audiences, the Audience Network, or different types of campaigns, you can earn a substantial return. And it works: in 2017, 5 million companies launched at least one Facebook Ads campaign, a figure that almost doubled in one year (they were 3 million in 2016). Forbes estimates this number at 6 million (read in this article). The ease of use of Facebook Ads allows everyone to launch their own campaign very quickly, and without having to rely on a huge budget. But it does not say that profitability will be at the rendezvous. 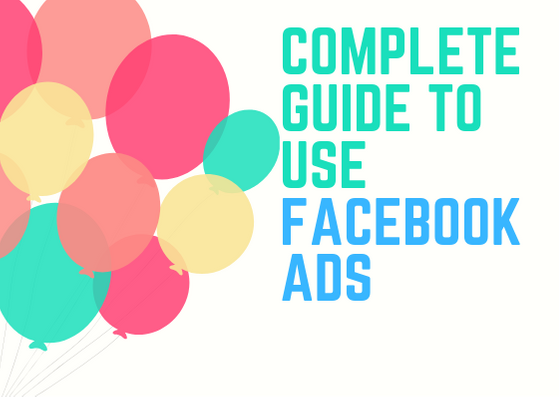 To help you look beyond the mere launch of an ad, here are some good practices to apply without moderation to boost your Facebook Ads campaigns. Any Facebook Ads campaign starts with sharp targeting. Start by clearly defining who you want to reach, using as many criteria as possible. Then, segment your campaigns. This is an essential step that leads you to send personalized messages to the different categories of audiences that you target. If you send the same ad to all your segments, you may be able to come up with an impersonal message that will not affect anyone, or that will send you unskilled prospects. While a targeted ad, tailored to a particular segment, will probably generate fewer visitors, but these will be much more qualified, so likely to convert into customers with less effort ... and at a lower cost. Make sure all these elements are present and optimized. Creating a visual advertisement is essential. The visual content benefits from a better treatment by the algorithm of Facebook, which means that it is likely to be better positioned on the thread of news of the user. Most importantly, an image is easier to remember - and share - than editorial content. This is because watching a visual does not take time, while reading a text can be time-consuming. By exaggerating a bit, we could almost say: no matter how good your advertising is, as long as there is an attractive image to capture the attention of users. Facebook allows you to choose how you want your advertising to be billed to you: CPC (cost per click) or CPM (cost per thousand, or impressions). In the first case, you pay each time a user clicks on your ad: it is payment to the performance. In the second case, you pay when your ad has been posted a thousand times: it's from payment to posting. The first is cheaper than the second. Choose the model that best fits your needs, with a view to profitability. Say you have 50 euros to spend on your Facebook Ads, with a CPC at 5 euros and a CPM at 10 euros. Your budget allows you to reach 10 clicks or 5,000 impressions. A cost-per-thousand campaign will therefore be interesting if your clickthrough rate is above a certain threshold, in this case 0.2% (clicks allowed by the budget divided by authorized impressions). If your goal is to maximize your clickthrough rate, the CPM will be more relevant. Like Google, Facebook loves ads that add value to their users. Leave them disturbing in their daily surfing time, as much as it is with ads likely to meet their needs. For this purpose, the network has implemented a AdRank "relevance score" that can be found in AdWords, and affects how Facebook will treat your ads in terms of visibility. The idea is to have the highest relevancy score possible, so create Facebook Ads campaigns that are targeted enough for users to be satisfied and click on your links. The value proposition of your Facebook Ads is what makes the difference between an ad you click on and an ad you do not know. Users are neither fooled nor naive. Ensuring that you are "the best provider" for a specific service will not be enough to convince. On the other hand, a promotional offer, a voucher, a numerical argument, a demonstration proposal - these are all incentives likely to challenge your targets. But do not forget to add a relevant call-to-action, otherwise, all these efforts will have been useless. Facebook gives you the ability to choose where your ads will appear on users' pages. In the right column. This is the traditional format par excellence, to the right of the newsfeed. This position offers better CPCs. An explicit value proposition, a well-placed CTA, relevant content and an attractive visual ensure the effectiveness of Facebook Ads campaigns located in this way. In the news feed. This is the most effective location, as ads appear directly in the news feed of users and capture their full attention. Because they are similar to standard ads, they tend to be perceived less intrusively - which tends to increase the potential click rate. But beware: this site is subject to a high relevance score. Note that this position exists on two levels: desktop and mobile. In Instant Articles. Ads appear in mobile snapshots (Facebook and Messenger apps). In embedded or suggested videos. Facebook Ads in video format can appear in two places: inside live videos and on demand, or between videos suggested by the network. In the marketplace. Particularly useful for merchant sites, ads appear in the Facebook marketplace (on the mobile app's homepage or while browsing). Your Facebook Ads may also appear elsewhere than on Facebook. This is called advertising placement. Through this option, they appear on Instagram (in the newsfeed or Stories), on Messenger (in the home tab or as sponsored messages) or on a lot of sites web and mobile applications of the Audience Network (banner, native or interstitial formats). Note that Facebook will default to the "automatic placement" option. But you can select your own priority investments, especially to remove what does not work (after several days of campaign). An example: since the Audience Network is the placement offering the lowest CPC, Facebook tends to make it the medium of diffusion majority. The problem is that this investment is often unprofitable. You can choose to eliminate it after a few tries, if it does not suit you. Custom audiences can target people who know (or are already in contact with) your business on the network. From different sources (your own customer lists, commitments, website traffic, Facebook mobile application ...), you create your personalized audience that you can then target very specifically with your Facebook Ads. The better your ads are targeted, the more likely you are to reach the right people, the more likely they are to click on your links. This will increase your clickthrough rate, so the relevance of your ads, etc. From a personalized audience, it is also possible to create a similar audience, that is, an audience that is similar to people already in contact with your business on the network. This option ensures even more effective targeting: based on several criteria, you send your messages or offers to users who, because they have a profile close to your existing customers (for example), could more easily be converted . Sponsored publications (already existing organic publications that are promoted through advertising). Advertisements in photo format (ideal to seduce users with attractive visuals). Advertisements in video format (which attract more and more users: more than 8 million are watched each day (source). Multi-product advertising, in the form of a carousel (to highlight several products, services or publications in the same advertisement, with the possibility for the user to click on individual links). 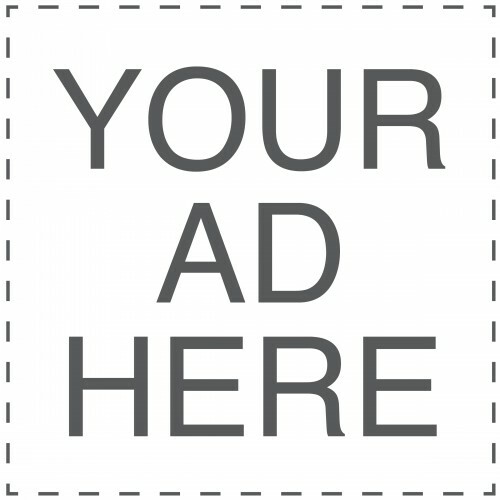 Targeted local ads (to direct your prospects to your physical store in a given area). The offers (advertisements focused on one-off promotional offers, valid only on Facebook). Retargeting ads (which "follow" people identified in their web-based course). They work on the Audience Network. Event advertising (to promote an event in particular). Dynamic ads (inspired by Google Shopping, they display the most relevant product / service according to the users who watch them). Mobile app ads (which send the user directly to the store where they can download the app that is the subject of the ad). Note that each of these formats has the benefits of custom audience targeting. Creating Facebook Ads is one thing. But this is just a starting point. From there, you can (and should) measure the effectiveness of your advertising campaigns to ensure that they achieve their goals while staying within the fixed budget framework, thus with a positive return on investment. You can measure click rate, conversion rate, cost per conversion, etc. By measuring the performance of your ads, you can change them instantly to make them more effective. Two tools are made available by Facebook in this sense: the Advertising Manager (also available in mobile application version) and the Business Manager. Unable to improve your Facebook Ads without regular tests. Used in the field of webmarketing, A / B tests are essential to evaluate the most efficient combinations and to check if this version of your advertising works better than another one with target X or Y. Never forget that you are on a social network and that users' attention time is in seconds. It will take a glance for a user to get an idea of ​​the value of your advertising. As a result, make sure you get right to the point: write a short, explicit and relevant message. And think of the fact that a majority of users consulte Facebook from a mobile device: you must be certain that the message will be displayed correctly and in its entirety. The click of the user on an advertisement is only one step. You might think that the hard part is done, but it's not true: the rest of the buying process must be consistent with the value proposition. Imagine an advertisement for shampoo that would send the user to a page dedicated to flat screen televisions! For this reason, do not forget to heal your landing pages so that users who click on your ads find their account. You're ready to launch your Facebook Ads!